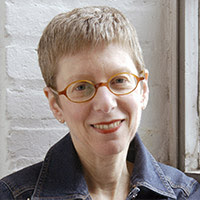 Terry Gross is the host and co-executive producer of Fresh Air, an interview format radio show produced by WHYY-FM in Philadelphia and distributed throughout the United States by NPR. Since 1975 she has conducted thousands of interviews. Gross began her radio career in 1973 at WBFO, a public radio station in Buffalo, N.Y., where she started out as a volunteer. When she moved to WHYY-FM, Fresh Air was a local interview program. In 1985, Fresh Air with Terry Gross went national, being distributed weekly by NPR, and two years later became a daily program. The show reaches an audience of millions of daily listeners. The San Francisco Chronicle wrote that Gross' interviews are "a remarkable blend of empathy, warmth, genuine curiosity and sharp intelligence." She prides herself on preparation; prior to interviewing guests, she reads their books, watches their movies and/or listens to their CDs. The Boston Phoenix opined that "Terry Gross . . . is almost certainly the best cultural interviewer in America, and one of the best all-around interviewers, period. Her smart, thoughtful questioning pushes her guests in unlikely directions. Her interviews are revelatory in a way other people's seldom are." Some of her interviews have not gone smoothly. Gross asked Nancy Reagan about the lack of funding and mishandling of HIV/AIDS by her husband, President Ronald Reagan, which was not well received. At least a few interview subjects have exited their interviews early, including Lou Reed, Rolling Stone publisher Jann Wenner, Faye Dunaway and Monica Lewinsky. Gross has been married to Francis Davis, jazz critic of The Village Voice, since 1994. 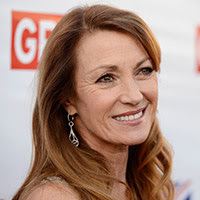 Jane Seymour is a British-American actress best known for her performances in the James Bond film Live and Let Die (1973) and the television series Dr. Quinn, Medicine Woman (1993–1998). In 1973, she gained her first major television role in the series The Onedin Line and achieved international fame in her role as Bond Girl Solitaire in the James Bond film Live and Let Die. After that, she starred in Sinbad and the Eye of the Tiger (1975) and the Battlestar Galactica film (1978), and in the first five episodes of the television series. Seymour returned to the big screen in the comedy Oh Heavenly Dog opposite Chevy Chase. In 1980, Seymour played opposite Christopher Reeve in Somewhere in Time, which marked the start of her friendship with the actor. In 1981, her role in the television film East of Eden won her a Golden Globe. In 1988, Seymour got the female lead in the 12-part television miniseries War and Remembrance. In the 1990s, Seymour earned popular and critical praise for her role as Dr. Michaela "Mike" Quinn in the television series Dr. Quinn, Medicine Woman and its television sequels (1993–2001). Her work on the series earned her a second Golden Globe Award. In the 1980s, Seymour began a career as a writer of self-help and inspirational books, including Jane Seymour's Guide to Romantic Living (1986) and Among Angels (2010). She also co-authored several children's books with her then-husband James Keach. In 2008, Seymour replaced Selina Scott as the new face of fashion label CC (formerly known as Country Casuals). In 2008, she teamed up with and designed the "Open Heart Collection" for Kay Jewelers. Seymour was married four times and has two children. Melissa Manchester, a singer-songwriter and actress, began recording in the 1970s generally in the adult contemporary genre. She has also appeared as an actress on television, in films and on stage. The daughter of a bassoonist for the New York Metropolitan Opera, Manchester started a singing career at an early age. In the Manhattan club scene, she was discovered by Barry Manilow, who introduced her to Bette Midler. In 1971, she became a member of the Harlettes, the backup singers for Midler. Her debut album, Home to Myself, was released in 1973. Two years later, her album Melissa produced her first Top 10 hit, "Midnight Blue." In 1979, Manchester reached No. 10 with "Don't Cry Out Loud," for which she received a Grammy nomination for Best Pop Female Vocal Performance. In 1982, her album You Should Hear How She Talks About You, won the 1983 Grammy for Best Pop Female Vocal Performance. Throughout the 1980s, Manchester continued to place singles on the Adult Contemporary charts, including a 1989 updating of Dionne Warwick's "Walk on By." In 2004, she returned with her first album in 10 years: When I Look Down That Road. Throughout the 1980s and 1990s, Manchester alternated recording with acting, appearing with Bette Midler in the film For the Boys, on the television series Blossom and co-writing and starring in the musical I Sent a Letter to My Love. In April 2007, she returned to theater, starring in the Chicago production of HATS! The Musical, a show to which she contributed two (cowritten) songs. Manchester’s 20th studio album, You Gotta Love the Life, released in February 2015, hit No. 17 on the Billboard Magazine Jazz Albums chart. The single "Feelin' for You," premiered at No. 2 on the smooth jazz charts. Ed Lee "Too Tall" Jones is a retired American football player who played 15 seasons (1974–1978, 1980–1989) in the National Football League (NFL) for the Dallas Cowboys. Jones was one of the most dominant defensive players of his era, playing in 16 playoff games and three Super Bowls. He was part of three NFC championship teams and the Super Bowl XII champion. His success batting down passes convinced the NFL to keep track of it as an official stat. In high school, his basketball skills earned him All-America honors and scholarship offers from several Division I (NCAA) programs. As a senior, he fought a Golden Gloves boxing match, recording a knockout of his opponent in less than a minute. He played football under Tennessee State University head coach John Merritt. The 6-foot-9 Jones received his famous nickname during his first football practice, after a teammate mentioned that his pants didn't fit, because he was “too tall to play football." At Tennessee State, he became a 2-time All-American defensive lineman, playing on a team that only lost two games en route to winning the black college football national championship in 1971 and 1973. The Dallas Cowboys drafted Jones, making him the first football player from a historically black college to go that high in the NFL draft. He became a starter at left defensive end during his second season in 1975, and by 1977 he had helped the Cowboys win Super Bowl XII. After playing five years for the Cowboys from 1974 through 1978, at 28 years old and in the prime of his athletic career, Jones left football to attempt a professional boxing career. From November 1979 through January 1980, he won the six bouts he fought as a heavyweight, recording five knockouts. He returned to play for the Dallas Cowboys for the 1980 season, earning All-Pro and Pro Bowl honors three times from 1981 to 1983. 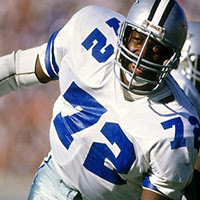 He retired at the end of the 1989 season, having never missed a game, playing the most games by any Cowboys player (232). FAMOUS & 65 is a featured article in the February 2016 Senior Spirit newsletter.